1. We were not able to meet with the Secretary of State of Honduras. However, thanks to Hayden’s efforts at leaving the communications lines open, we did receive a call from the Secretary of State’s office the day before we left for Honduras – it came in on Oie’s phone in Spanish asking for “Haydie Hay.” We tried to make the connection during our trip, but could not complete the circle. Nonetheless, there is still some level of communication and it is possible that there may be an opportunity to do this in the future. 2. We continued the planning for the medical trip. With Ricardo’s guidance, we are going to be working with a different physician in Honduras. Ricardo felt that the doctor we had been talking to was perhaps not the best fit for our needs. He had someone else who he felt could help us see more patients for less funds. We have not met the new doctor, but we have confidence in Ricardo’s recommendations. Ricardo has been on other medical trips with this doctor, including a trip that was to take place immediately after our trip. We have already sent funds for medicines through Mercy & Grace, and Ricardo says that the list is sufficient for us to see up to 2,000 patients. 3. As part of the medical trip planning, we provided materials for the refurbishing of the governmental medical clinic in El Carrizo – known as “Centro.” During my trip in January the nurse advised that a company had agreed to repair Centro, so we were prepared find the work completed and to spend our budgeted amount on furniture and equipment. Instead, the nurse told us that the company kept saying that they would be there “next Monday” to do the work, but next Monday never arrived with any supplies or workers. When Ricardo looked over the contractor’s list, it did not even appear to cover the work most needed – the roof and the ceiling. We decided to go back to Plan A and provide the materials for the main structural repairs if the community would provide the labor. The nurse put us in touch with Pastor Olmond of the Pentacostal church in Colonia. Pastor Olmond lives across the street from the school in El Carrizo, and is a mason by trade – the same mason who organized the pouring of the concrete for the school in Colonia. His church had volunteered to do the work if the clinic could get the supplies. So, with the Pastor’s help, we got a new list of supplies and made arrangements for them to be delivered the next day. Pastor Olmond was there and checked them off, and I got a message from the nurse’s daughter (a facebook friend) the following week that the work had begun. 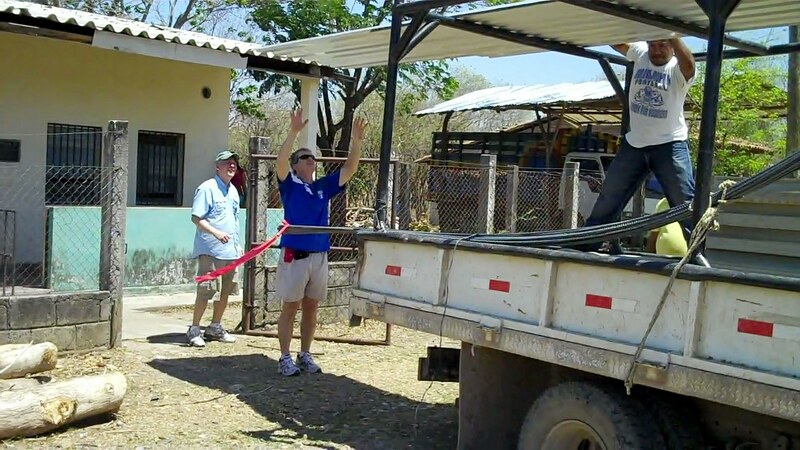 When we return with the medical trip in late May, Centro will have a new roof, a new ceiling, a new coat of paint, and a door on the bathroom. It will also have 20 new sturdy plastic chairs that we purchased with the leftover funds in the budgeted amount so that the patients will have a place to sit in the waiting area. It may also have some additional furniture and equipment provided by funds raised by the community. 4. The school system in Honduras is currently in a mess. There was no elementary school the days we were there because of teacher strikes. Interestingly, there was Colegio in Palenque, but I’m not sure why. In any event, there is an ongoing struggle between the government and the teachers’ unions over a variety of issues, some economic and others political. School was supposed to resume the Monday after our trip, but the news reports have been mixed. This is something we need to monitor, and I hope that our medical trip will provide us the opportunity to find out more. There is some possibility that there will be no meaningful school this year in Honduras, and if so, we will need to discuss what effect that has on our sponsorship program. 5. The new teacher in Colonia made a special trip out from Choluteca to meet with us at the school. He is one of the persons who is encouraging us to put a library there. We explained that, if we do a library there, it will be a community library with a community board of directors, and not a school library controlled by the government. There were two parents there who (I believe) clearly understood and endorsed this, and they are supposed to be identifying their board so that we can continue the discussions in May. 6. We had several discussions about upgrading the library in the Baptist church in El Carrizo and putting in a new library in the school in Colonia. I hope to continue those discussions during the May medical trip, with the plan of implementing these projects during our September trip. We are already stockpiling some books for these projects. 7. The day before we left on our trip we discovered that the school supplies that were supposed to be delivered to Ricardo in the Mercy & Grace container had still not arrived. They are in Tennessee. We were very disappointed because we wanted to deliver these to the schools as part of our support for the teachers. We purchased and carried down with us some school supplies as a stop-gap measure. With the schools closed, however, it turned out not to be too big an issue. It does highlight, however, the difficulties we still face in being able to get stuff to Honduras, other than by “Sherpa-ing” it ourselves on the airplanes. 8. 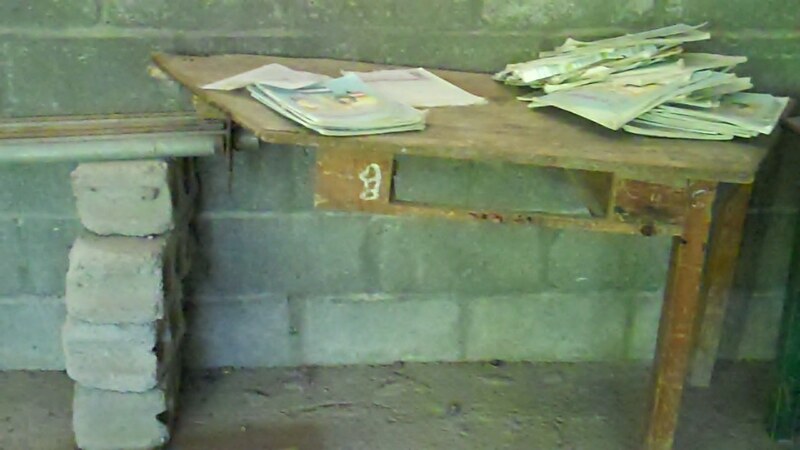 One thing that was disturbing was the continued deterioration of the desks and other furniture in the school in Colonia. 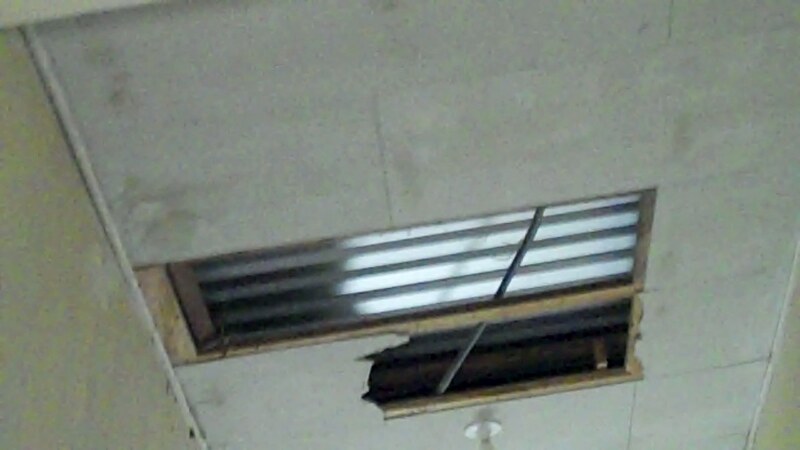 (We could not go in the school in El Carrizo, so I don’t know if this is as much a problem there.) This is a situation that I believe we should spend more time considering. The challenges of teaching and learning in those schools are significant. 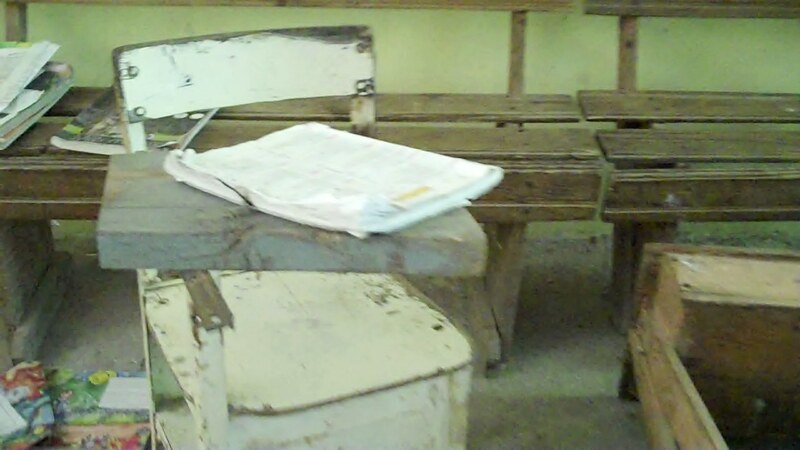 The unbelievably poor condition of the desks, chairs and other furniture exacerbates the problems. 9. As we were doing some of our wandering around (“pasear” en español”) we noticed a group of about 15 or 16 colegio students gathered at the intersection of the main dirt road where it branches off to go into El Carrizo. We knew a number of these students (many being sponsored by Sharefish) so we stopped to talk a little. We were somewhat curious because it was only about 10:00 in the morning and colegio does not start until the afternoon. It turns out that the students had gotten there a couple of hours before the bus arrives so that they could try to hitch a ride to Palenque instead of having to pay for the bus. 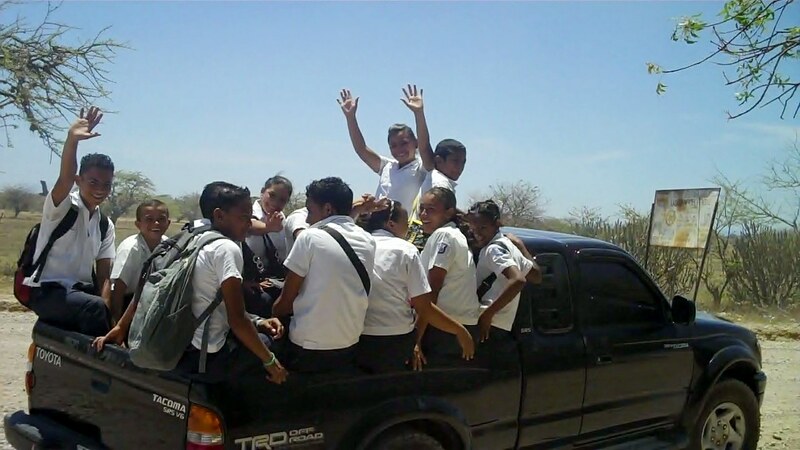 So, every day, these kids get ready for school 2 to 2 ½ hours early and stand in the 98+ heat for the chance of hitching a ride standing up in the back of somebody’s pick-up truck for the 50 minute drive on the rough dirt road to Palenque in order to save the 10 limpira one-way bus fare – a total of 50 cents. To us, that seems crazy. To them, the 50 cents saved is significant, and worth the effort and discomfort required to save it. Of course, this time they didn’t have to wait. They got a ride with us. There is so much more I could write, but I suspect that you are tired of reading. I may have already lost you at this point. I certainly don’t have much patience with long email messages. So I will end by saying that I continue to believe that some of the most important work we are doing right now is continuing to visit, talk, listen, and observe. We need to continue to strengthen our relationships in the communities and to become more attuned to their cultural rhythms. I believe that this will enable us to become better partners with the communities as we do our work there.